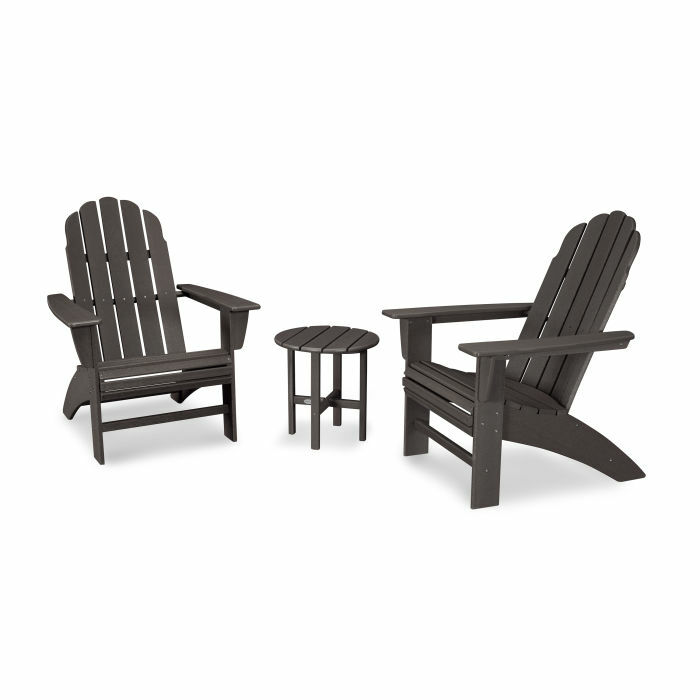 Create a relaxing spot for two with the Vineyard 3-Piece Curveback Adirondack Set, which includes spacious chairs featuring curved back slats and waterfall front for added comfort, paired with a Round 18" Side Table. The classic look of the chairs complements any outdoor space while the round side table provides the perfect place to set your drinks. Built to withstand a range of climates including hot sun, snowy winters, and strong coastal winds.